If you know what you are looking for, simply click on the headings below. Read on for a comprehensive introduction to an outstanding home gym machine. 2 Bowflex Revolution Unique Design. Ready now to jump on a Bowflex? 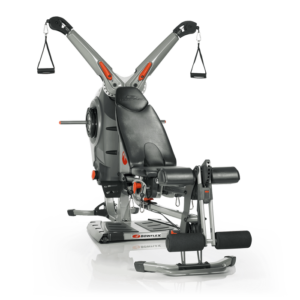 Check out the best price and discount on the Bowflex Revolution. The major advantage of the Bowflex Revolution is that it offers more than 100 different exercises for every part of the body. If you are looking for a full, all-over toning and strengthening machine, it’s hard to beat the Bowflex Revolution. And, given the overall design of the machine, it’s easy to quickly move between exercises. You don’t have to worry about pausing between sets while you completely re-assemble the machine. This is fantastic if you’re trying to design a high-intensity interval training (HIIT) routine. If you need some guidance on how to use the full range of exercises on the machine, the Bowflex Revolution comes with a full workout DVD. You can easily get some great ideas for how to work out your abs and core. Or how to work your back and shoulder muscles from different angles. One design feature that you’ll find in the Bowflex Revolution that you won’t find in other machines are the Freedom Arms. They look like two mechanical arms hanging off the side of the machine. The reason they’re called “freedom” arms is because they have so much freedom of motion. These Freedom Arms can adjust 170 degrees (that’s almost an entire half-circle), and there are 10 different settings. This enables you to hit your muscles from a variety of different angles. The Bowflex Revolution officially comes with 100 different exercises. When you add in all the angles and adjustments, you’re really getting more than that. It’s a truly revolutionary full-body workout. The innovative aspect of the Bowflex Revolution is how it delivers this total workout experience. The SpiraFlex resistance system offers an ultra-smooth, consistent level of resistance. This is maintained throughout the entire range of motion for an exercise. In fact, the SpiraFlex resistance technology was developed by NASA. They wanted to deliver a resistance workout routine for astronauts in the weightless, zero-G environment of outer space. NASA refers to it as “the best workout on Earth, and in Space.” Click the link now to find the Bowflex Revolution best price and discount. For users who are familiar with other Bowflex machines, the SpiraFlex system is different from their Power Rod technology. The Bowflex Revolution is not a cable and pulley system. Thus, even for experienced Bowflex users, it may take getting used to the new SpiraFlex system. One aspect that users have pointed out in reviews is that the weights used as part of the system don’t really match up with the weights you’d use with, say, a free weight dumbbell. The machine itself only comes with a possible 220 pounds of resistance. The difference is you’re actually getting 220 pounds throughout the entire range of motion of your muscle. With conventional free weights, remember, you’re getting gravity to do half the work for you on the way down. With SpiraFlex, you don’t get any kind of gravitational assist. If you’re like most fitness enthusiasts, you’re probably choosing between the two home gyms at the high end of the Bowflex range – the Xtreme 2SE and the Revolution. There’s more than a $1,000 price differential, so it’s a natural question to ask: What do I get with the Revolution that I don’t get with the Xtreme 2SE? 100 different exercises instead of the 70. 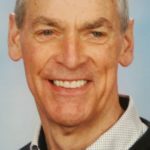 It’s easy to see that the Revolution is intended for a much more advanced fitness program and if you get the Revolution, you probably won’t need to get another piece of workout equipment. You will still be able to replicate the full range of exercises you’d be able to get at a membership gym. 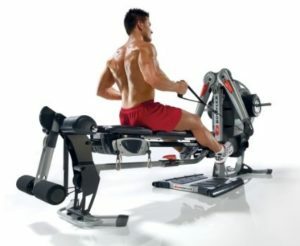 If you get the Xtreme 2SE, you would still need to get some form of cardio rowing machine as well as a weight bench where you’d be able to work out your legs with a greater range of exercises. Once you’ve assembled the Bowflex Revolution (a process that could take anywhere from 1-2 hours), it’s time to start working out from the convenience of home. The machine is so smooth and quiet that you can literally workout in one room of your home and not worry about waking up someone sleeping in the next room. The machine is sturdy and well built. However, it has a larger footprint than the other Bowflex machines (requiring a minimum workout area of 10’ x 7’ x 7’). Even though the cardio rowing seat does fold up, you will still need to dedicate a good part of any room of your home to the machine. You won’t just be able to stash it next to your desk and home computer. The Bowflex Revolution is designed for a serious home workout that completely replaces the membership gym experience. You will have access to an unbeatable range of exercises that combine both cardio and strength. Simply working out for 30 minutes, 3 times a week, will have you shedding fat and putting on muscle. This is not designed to be a “first home gym,” but if you’re looking to take your workouts to the next level, the Revolution can be downright revolutionary. 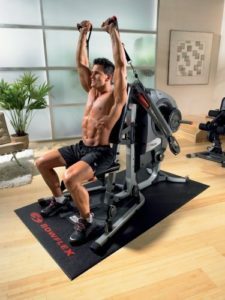 On Amazon.com, the Bowflex Revolution comes with a 10-year warranty and has a total customer ranking of 3.8/5.0, with nearly half (47%) of Amazon users giving it 5 stars. Click the link now to get the Bowflex Revolution at the best price.